This news is sure to shock men who love their beard! A new study reveals that that men with beards carry more germs than dogs including deadly bacteria in their facial ball of hair. According to a recent study, researchers discovered that nearly half of all sampled beards hosted bugs dangerous to human health. The study which was published by the Daily Mail stated that researchers took swabs from the beards of 18 men and the necks of 30 dogs, across a range of breeds, and compared the results. After the study, Professor Andreas Gutzeit, of Switzerland's Hirslanden Clinic, revealed to the Daily Mail that, “The researchers found a significantly higher bacterial load in specimens taken from the men's beards compared with the dogs' fur. On the basis of these findings, dogs can be considered as clean compared with bearded men." Later, founder of the Beard Liberation Front Keith Flett, argued on this issue saying that, "I think it's possible to find all sorts of unpleasant things if you took swabs from people's hair and hands and then tested them. I don't believe that beards in themselves are unhygienic. There seems to be a constant stream of negative stories about beards that suggest it's more about pogonophobia than anything else." After reading this, are you going to give a second thought about re-grabbing your razor? Better do! பேரிடரில் சிக்கிய நாய்க்குட்டிக்கு அடைக்கலம்: வைரலாகும் இன்ஸ்டாகிராம் புகைப்படம்! ’இதெல்லாம் ஒரு சேலஞ்சாப்பா’..வைரலாகி வரும் ஸ்னூட் சேலஞ்ச் ! 'அன்பிற்கும் உண்டோ'..ஆற்று வெள்ளத்தில் குட்டிகளுடன் தத்தளித்த நாய்! This page contains news relating to various facts and events. The views are generally about current affiars and general topics in diversified areas such as political, international, national, and regional issues, sports, health, travel, lifestyle, technology and business. People having similar interets on the above topics will find this page useful. 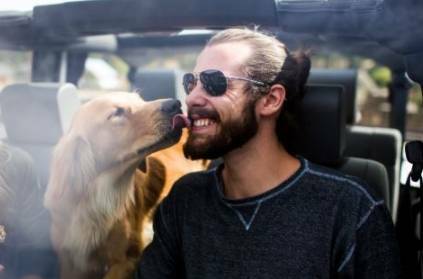 Study reveals that men with beards carry more germs than dogs | Fun Facts News.